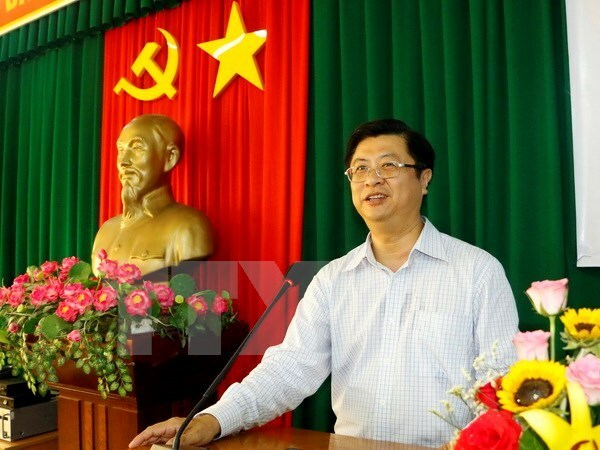 Can Tho (VNA) – Vietnamese businesses will be given top priorities in terms of procedures and competition when investing in Cuba, Consul General of Cuba in Ho Chi Minh City Bernabe Garcia Valido said on August 30. Talking to Vice Chairman of the Can Tho People’s Committee Truong Quang Hoai Nam, the outgoing diplomat said Cuba’s investment attraction policy prioritises firms from fraternal nations which have mutual trust with Cuba, and Vietnam is one of such countries. He said Cuba considers foreign investment as a resource for national economic development and a chance to learn new management methods, adding that investment opportunities concentrate on agricultural and forestry product manufacturing (especially food and cane sugar), industry, tourism, energy, mining, transport, pharmaceutical, biotechnology, health care, construction, trade and audiovisual industry. Valido affirmed that his successor will continue implementing the abovementioned cooperation projects and plans and focus on popularising opportunities for investment in the Mariel Special Economic Development Zone, which covers over 465 sq.km. in the west of Havana. He hoped that this zone’s potential will attract investors from Can Tho and other southwestern provinces of Vietnam. For his part, Vice Chairman Nam applauded the Consul General’s proposals and contributions, noting that cooperation between Can Tho and Cuba remains almost untapped due to a shortage of information about the market and investment policy. Cuba has only one project worth 5.6 million USD in the city which is the Labiofam Vietnam Co. Ltd based in Binh Thuy district. Meanwhile, Can Tho is yet to have any investment project or export goods to the Latin American country. Nam called on Cuba and Vietnam to sign a bilateral free trade agreement so as to facilitate cooperation in potential fields such as tourism, hi-tech agriculture, pharmaceutical and biotechnology.